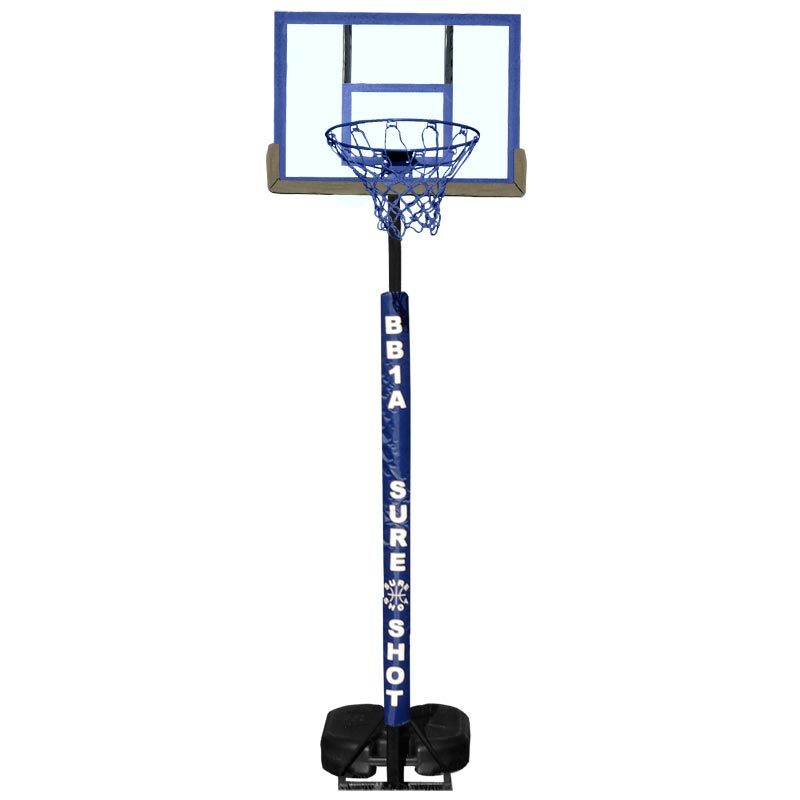 The Sure Shot BB1A Little Shot Basketball Post is a superb starter unit for young children aged 4+. Its quick height adjustment makes it ideal for use by different ages – with a telescopic pole system the height can be set anywhere between 4ft and 6ft. The model includes an attractive acrylic backboard with backboard padding, protective pole padding, a steel 13.5” ring and a blue nylon 12-loop net. Ideal starter unit for young children aged 4+. Telescopic pole system – allowing an adjustable height between 4’ and 6’ (1.2m and 1.8m). Acrylic backboard measuring 24” x 17” (60 x 43cm) with protective board padding. 13.5” Steel ring (34cm) suitable for use with size 3 or 5 basketballs only. Steel pole with ballast requiring 26kg of sand or 14 litres of water. Protective pole padding provided as standard. Straightforward assembly and instructions provided.